Marriage is not for sissies. Anyone who’s been married for a couple of years or more will tell you that! It took me about a year of being married to learn this. 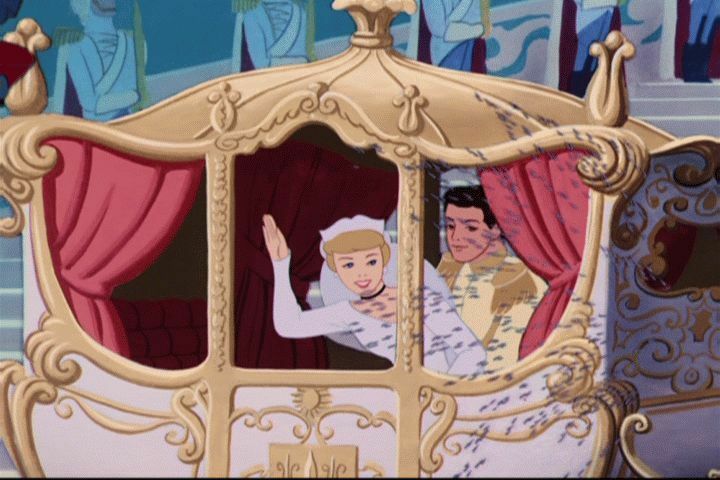 Okay, it probably only took me a month or so, because I quickly learned that it wasn’t really like Disney’s Cinderella movie where we’d ride off in our carriage together into the sunset and live “Happily Ever After”. I was pretty shocked when we got back from our honeymoon and there weren’t birds singing in chorus as I did my chores around the house. Very disappointing that squirrels, birds, and friendly mice didn’t help me get dressed each morning. Seriously, I think I watched Disney’s Cinderella way too many times! It didn’t take long for me to realize that being married meant I’m still me. I still wake up with morning breath, next to someone else who may or may not have morning breath. (Let’s protect the innocent. This is not his blog, so it’s only fair to leave out any of his imperfections.) I remember devouring books on marriage because I quickly learned that I was in big trouble if I didn’t figure out how to do this thing called marriage. I didn’t really know how to be a wife. And since I am pretty selfish by nature, how would this play out? I don’t think I’ve got it all figured out now, but we usually work together in a good rhythm as a couple. I love this man! He's a man of integrity, he's passionate and full of life. This is him teaching junior high students. Over time I love my husband more and more, as we experience life with all of its joys and sorrows together. In fact, I might go as far to say that when we persevere as a couple through the trials of life and difficult times, we love each other in a deeper way. Now that I’ve nauseated you with all of that, I can go back to my initial point: Marriage isn’t for sissies. The daily ups and downs of life are the reality. Maybe one of the biggest things I’m learning in marriage is love can be a romantic feeling. But love is also much, much more than that. It is so true. Marriage is not for sissies. Been married to my high school sweetie for 13 years. Our love is so much more than a romantic feeling, but my goal is to always figure out how to keep the romantic feeling in the forefront. Never to loose sight of the importance of that! Thank you so much for sharing. I can totally relate here. My hubby and I have been through one trial or tribulation after another since the day we met. We’ve endured life threatening health problems, a horrible legal nightmare, and a very lengthy unemployment. I keep telling my hubby that God has big plans for him cause it’s like he has this giant target on his back for Satan to keep firing arrows at and God continues to step in at the very last moment and stop the arrow before it actually penetrates the skin. But in the meantime, while we wait on God to work out the details and mold us into something beautiful, my husband and I have had to pull together and support each other 100%. It hasn’t been for sissies at all. I’m thankful we have a Christ-centered marriage because without that I’m certain our faith would have faltered long ago.